With the Fall breeze just now starting to set in it's time to start ticking off my Fall bucket list. What's number one on the list? Getting my hands on some homemade apple cider. Being away at school means that it's up to me to accomplish this so I set out to Pinterest to find the perfect recipe! After scrolling through endless posts I finally found one that 1. seemed actually doable and 2. looked delicious! This recipe takes only 30 minutes to make and it serves 6 friends! 1. Pour your 6 cups of juice into a large pot. Bring your juice to a boil for 5 minutes. 2. Wrap your oranges and spices in the cheesecloth and tie with a string. 3. Add your bundle to the pot. 3. Reduce the heat to low and let the cider simmer for 20 minutes. 4. Remove the spice bundle and serve the cider hot with cinnamon sticks! 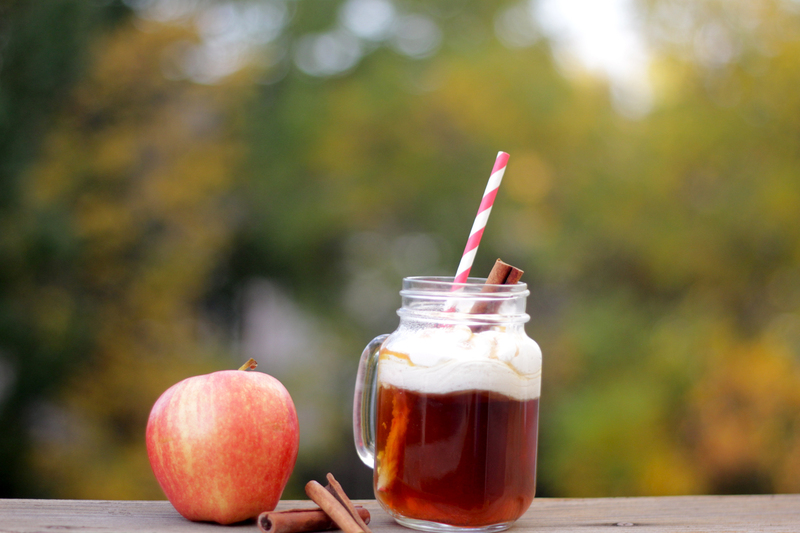 This is such a great recipe for a Fall get-together or just a cozy refreshment after a long day. Try out this recipe and let me know what you think! Does anyone else have a great apple cider recipe? !